Vast majority of Americans oppose Trump's decision to pull out troops from Syria, do not believe ISIS is defeated. Over 59% of Americans want US forces to stay in Syria, a survey by The Hill found. The survey also found that 35% believe the US military should remain in Syria because they do not believe that ISIS has been defeated, compared to 10% who agree with President Donald Trump that ISIS was defeated and that the forces should be removed. An additional 24% said that while they believed ISIS has been defeated, the US should keep its military presence in Syria. In December, President Donald Trump made a surprise announcement that the US would withdraw the roughly 2,000 soldiers it currently has deployed in Syria. While no formal time-table for the pullout has been released, President Trump reportedly agreed to spread the pullout over four months. 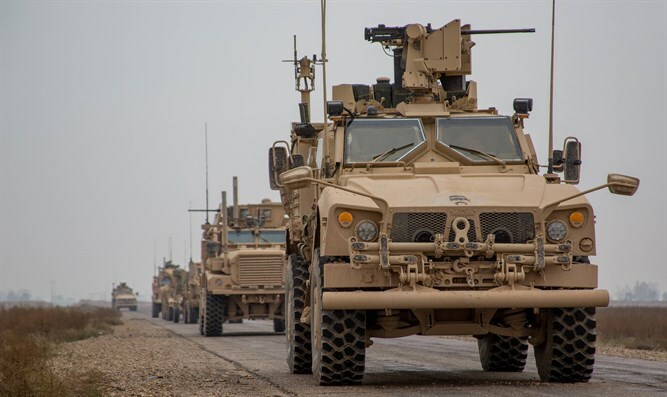 Earlier this month, Colonel Sean J. Ryan, a spokesman for the US deployment in Syria, known as Combined Joint Task Force – Operation Inherent Resolve (CJTF-OIR), said that the US-led coalition forces had already begun pulling out. Last Sunday, National Security Adviser John Bolton said during a visit to Jerusalem that the US may retain a presence at an enclave centered on the Al-Tanf airbase in southeast Syria even after the pullout. Bolton also said the US would “condition” the pullout from Syria on specific objectives, including assurances that Kurdish forces in the north will be protected once Turkey takes control of northern Syria. “There are objectives that we want to accomplish that condition the withdrawal,” Bolton said, according to NBC.